Climb the majestic Great Wall, take in the life-sized Terracotta Warriors, and learn about the imperial palace of the Forbidden City. 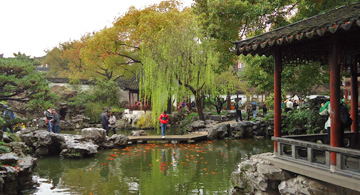 There is much to do in China; see the urban wonders and hear the vibrant sounds on the streets. Smell and eat delicious authentic Chinese cuisine using chopsticks at every meal. Did you know China has the largest population on Earth with 56 ethnic groups? It is truly a unique and unforgettable journey for all ages. Practice your Mandarin Chinese and immerse yourself in the local culture while exploring this beautiful and historic country. 中国欢迎你!